February 7 - 9 was our first official event to celebrate our new training facility AND our 10 Year Anniversary. What a FUN weekend with guests, gym members, and friends! ! ! Mother Nature tried to play interference and block the events, but we managed to get the main components of the weekend off without a hitch. 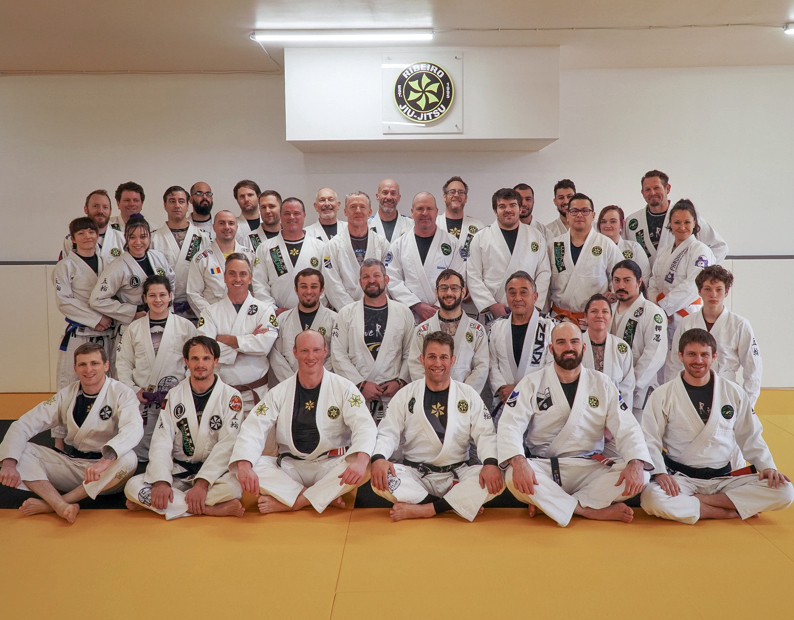 Professor Jubera and Professor Miller both ran a Five Rings' kids' class - it was so cool to have visiting Professors share cool Jiu Jitsu from their academy's. Then, after that, Professor Korbett ran a 90 minute coaching inservice for our youth coaches. He shared great insights and strategies for success. It's very apparent that Professor Korbett has coached children in martial arts for over thirty years ... he has great wisdom to share. On Friday, Feb. 8, Professor Matt Jubera ran a seminar at the Salem-Keizer BJJ school run by Professor Puopolo. He shared a lot of his back attack strategies and transition game. It was solid gold. 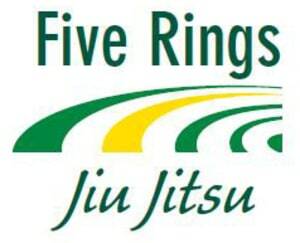 Even with the threat of bad weather, a small crew of Five Rings folks made the drive to participate in the seminar. Team Ribeiro at Five Rings! On Saturday over forty people weathered the winter conditions to participate in the seminars presented by Prof. James Puopolo and Prof. Matt Jubera. Prof. James showed some mobile guard passing sequences and how to counter a leg lasso from inside the open guard. Prof. Matt showed some great mount top material. 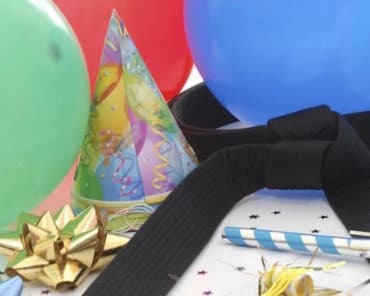 In particular, how to armbar while being crazy heavy and tight while staying upright / on top. It was fantastic stuff. This is the first of many Grand Re-Opening | 10 Year Anniversary events that will be happening throughout 2019. Stay tuned for the next one.